If you travel often, then you know the value of having a luggage piece that's up for the task. We know how we try to cram our belongings into our carry-on baggage, but sometimes we need a piece of luggage that is checked luggage size. You want a bag that becomes known for being lightweight and durable. You want your bags to have style and class. We know how hard it can be to choose a luggage piece that meets all your wants and needs. It can be an overwhelming process deciding which checked suitcase is the one for you. However, you don't need to fear! Tr​ekbible wants to equip our readers by providing you with a list of the best checked luggage pieces out there. Our team has prepared everything from the traveler’s choice to the editor’s choice, and everything in between when it comes to the best suitcase that suits your must haves. Here are Trekbible’s reviews of the 6 best checked luggage pieces, plus how to choose the one for you. The chart below displays the 6 best checked luggage products that we love right now, along with their ratings. You will find this list of travel luggage to vary from lightweight luggage to a bag that functions for long term travel. Some may have pockets galore, and other may simply have a great outer case alone. You may even find a matching carry-on bag if the bags come in a combo luggage set. 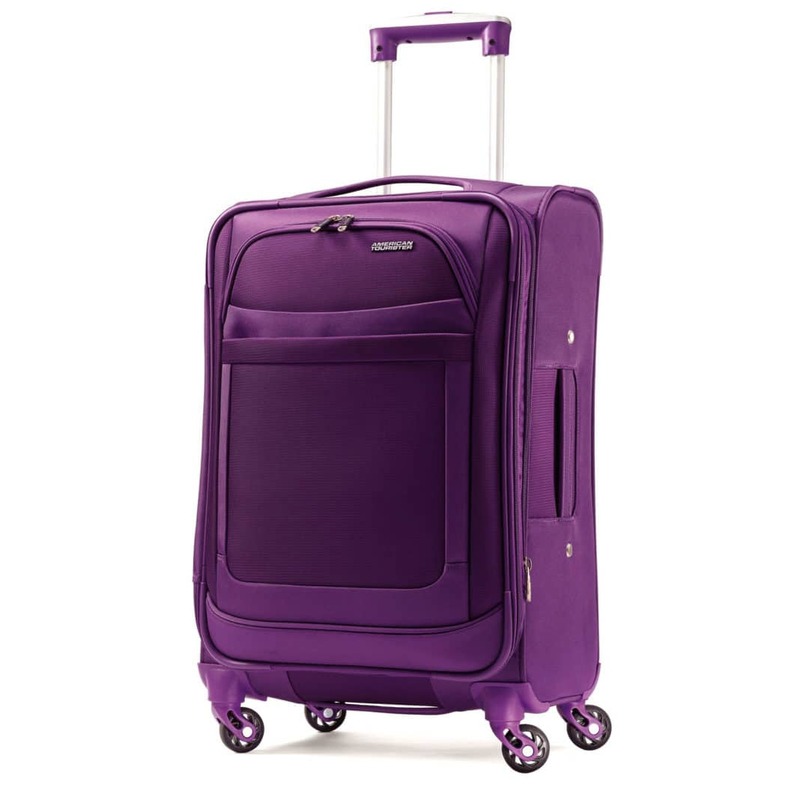 Click "See Today's Price" if you want to know the current price for each of these soft-side and hard-side luggage pieces. 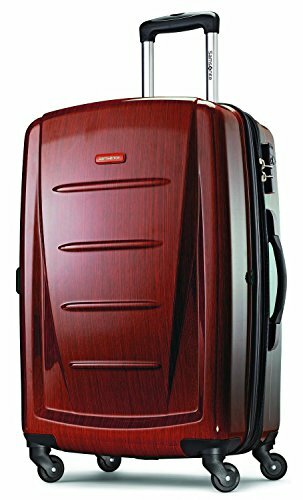 Samsonite Winfield 2 Hardside 28"
Which Suitcase Do You Have Your Eye On? There are too many suitcases to count on the market today. 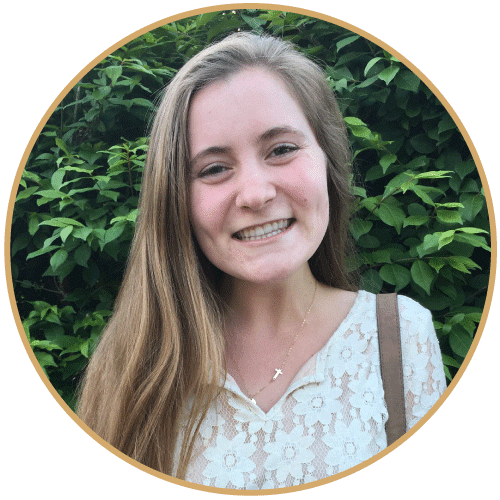 They come in all sorts of shapes, sizes, colors, and they each claim to be the "most innovative" and "technologically advanced." While the trend for light travel continues to grow for carry-on size, we cannot deny the fact that checked baggage may become a necessity when taking a family flight with multiple members or going on a trip that requires extensive equipment (camera, sports, etc). We understand how easy it is for indecision to strike when trying to choose the perfect suitcase for your travels. That's why we want to help ease the process. If you need a starting place, then it will help for you to begin by thinking about what you really want and need in a suitcase. Here are some questions to ask yourself to point you in the right direction. 1. Are you prone to overpacking? This is a safe space... it's okay to admit if you are an overpacker. That way, you can overpack to your heart's content. Of course, always check for baggage fees before your trip! You will want to check before you get to the check-in counter, because external costs may exist if you fly with an airline that has a limit. However, you can usually fly with an airline that provides a free checked bag. Knowing if you are an overpacker will change things, because those prone to overpacking will need a checked luggage piece that has expandable features. When you go souvenir shopping during your travels, the expandable nature of your bag will allow you to bring home all of your new items! If you are an overpacker (you know who you are), then be sure to focus on checked luggage pieces that have expansible compartments. Zippered pockets on suitcases are your friends. This will narrow down your search when you look for these features. 2. Do you need a bag that comes with a warranty? If a warranty on your bag is a priority for you, then only look at luggage options that offer the warranty you want. Each luggage brand offers their own type of warranty. For instance, some provide a lifetime warranty, whereas others only provide a 2 or 5-year warranty. We cannot emphasize enough the need to read the fine print. Some companies will trick you if you don't read the little lines. For instance, several luggage brands only offer a warranty on a selection of their products. Some may have a specific policy on how the damage occurred to the baggage. Others only offer a warranty on products sold online, directly through the company's website (not through Amazon). You do not want to arrive at baggage claim only to find that baggage handlers broke the straps on your checked luggage; and after that, finding out the warranty does not cover the damage done. Read the fine print and find the best option for your wants and needs! 3. What is your priority: price, style, or durability? Perhaps the most important thing to do when looking for a new suitcase is to ask yourself what your priority is. Figuring this out is the best way to narrow down your options and make the decision process easier. If cost is the most significant thing for you, then you will be able to shorten your list of options once you find out your desired price range. If your priority is style, then only look for bags that match your fashion sense. Do you want your check-in luggage to match your carry-on luggage? And finally, if durability is the number one priority for you, then start doing your research. Do you have a preference of hard-sided luggage over soft-sided luggage? 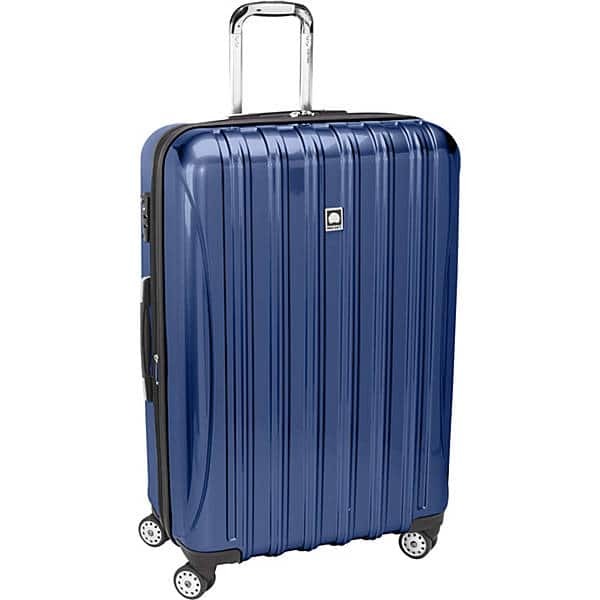 Wheeled luggage with a telescopic handle versus suitcases with straps- which would you choose? Your ideal travel luggage is out there! Read as many reviews as you can to see what fellow travelers are saying about the products you are interested in. How much as you willing to spend on your new luggage piece? Remember, these are the larger versions of our carry-ons and duffel bags! Checked bags can get quite pricey, so considering your budget before starting your search is something to do. Because we care about affordability, all of the items on our list of the best checked luggage pieces fall below $200. Of course, you can find products that are very cheap, but remember that the cheapest bags (though they look like a deal) are often made of the cheapest material. Having a functional and durable checked luggage piece can be an investment, but we did our best to find you bags that won't cost you an arm or a leg. 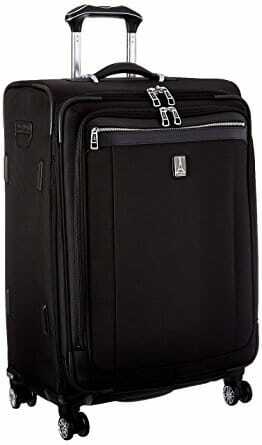 However, if you desire a real top of the line suitcase, consider checking out Briggs & Riley or Tumi. These checked luggage pieces are far more expensive than the ones provided on this list. They are also made with impeccable quality, which can almost make these suitcases feel like an investment. Trekbible provided full reviews on those luggage brands and their most popular suitcases. When you think about your dream checked luggage piece, what are your non-negotiables? What features do you have to have in your suitcase? Do you need a locking system? Would you prefer a TSA-approved lock? A stylish exterior? A case with spinner wheels? Or maybe you need the bag to have in-line skate wheels? Did you find your preference on a hard-sided case or soft-sided case? Figuring out what qualities and features you need in a bag, especially wheels on larger suitcases, will help to narrow down your search. 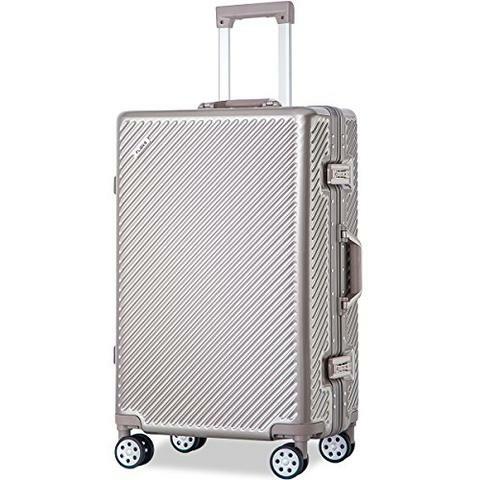 Yes, even features like the wheels and pockets, will help you get rolling on your search for the best suitcase for you. There is no better way to get a sense about a product than reading the product reviews. Of course, you don't need to listen to every negative review. Some may have issues with a brand’s carry-on bag fitting in their overhead bin on a certain airline, but you may be specifically looking for their checked luggages. Refine your search when your are looking at reviews. Also, take note when you find themes and reoccurring complaints about a specific feature on the suitcase. For instance, if multiple travelers have complained about the zippers breaking or the exterior scratching, then there is good reason to be weary of the product. For larger bags, be sure to check on the bag’s wheels and pockets! It will not be fun hobbling a finicky, unorganized suitcase during your trip. On the other hand, if the majority of customers have spoke very highly about the luggage piece, then there is good reason to consider investing in the product! Just be sure to get the full picture before deciding. 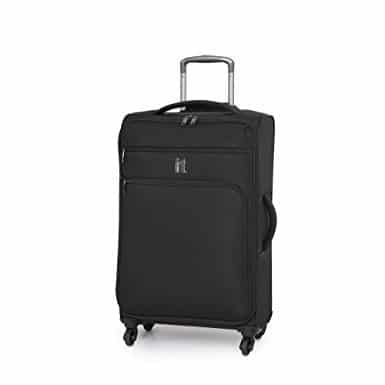 Suitcase does great for the first several years, but travelers may experience issues with zippers and wheels later on. Cosmetic damage; in example, the exterior may experience scratch and scuff marks. Some color options pick up stains easily during travels, baggage handling, etc. Finding the perfect checked bag for you can be a difficult task. With so many options, how are you supposed to know which suitcase will work for you? We hope that reading through this guide and list of the top checked luggage pieces will help you find the best checked luggage piece for your travel needs. Remember, quality checked luggage does not have to cost you an arm and a leg. There are functional and durable products that will hold up well over the years and also keep your wallet happy. Ask the right questions when deciding on your perfect checked luggage, and you will surely be set for your next adventure. Enjoy shopping for the perfect suitcase for you! And let us know which of these top checked suitcases you choose.